We welcome you to Yazbeck. When you purchase a Yazbeck wetsuit, socks, gloves or any other product in the future, as we keep expanding, rest assured that we will have you covered. With Yazbeck, you will never be left out in the cold. I have been diving and freedive hunting since the mid 1960’s. I have always been an outdoors person, besides freediving and spearfishing, swimming, hiking and hunting were passions of mine since I was a child. The last four decades have been quite a journey: from the East Mediterranean shores; to the vast wilderness of Quebec, Canada; the cold waters swarming with life of the North Atlantic seashores of sweet New England; before finally settling in sunny and warm Redondo Beach in Los Angeles county, SoCal. It was only in 1998 that I started in the business of freediving gear and equipment, as an international marketing manager for the Picasso brand, which was then owned by Messrs. Carlos Covas (Portugal) and Alessandro Picasso (Spain). Among my many tasks then, was to distribute the Picasso gear and equipment in North America and Mexico as well as the Middle East. This is how I created and founded “PicassoAmerica.com“ in Montreal, Canada. Three years later, in 2001, the company moved to Hermosa Beach, California. In October 2002, I founded “FreeDiveShop.com” and opened the first brick and mortar Freedive Shop in the world. With the same purpose as with Picasso America in mind; I introduced a completely new line of gear and equipment of amazing design, functionality and quality, to the divers worldwide. Such material was unknown to most water sports enthusiasts then, including myself. them dye-sublimated on our Impermeaflex®. We then laminate onto the neoprene we sliced ourselves at our high tech facility in the South of China, where I am spending more than half of my time supervising this whole procedure. In 1998 I coined the term “World’s First and Only Dry/Wetsuit”. It was true then and even truer now. Some say I reinvented the wetsuit, but my only goal and passion was to market and sell only the best wetsuits, made using Yamamoto 100% CR Neoprene exclusively. However, in 2003, Picasso began manufacturing wetsuits using different components with which I did not agree. In an effort to continue manufacturing the Yamamoto neoprene products, I developed the Yazbeck brand. Our mission is to continue to bring you the best wetsuit on the planet.My promise to you can really be summed up in two words only, “No Compromise”, but the full story is the subject of the book I am writing about freedive hunting, its nascent industry and my life. 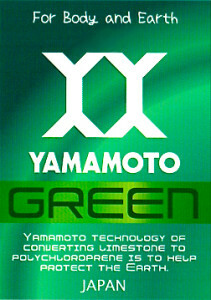 At YAZBECK we are concerned about the earth’s environment and we want to emphasize that unlike the commercially available neoprene, the Yamamoto 100% CR polychloroprene exclusively used in our products, is not a petro-chemical derivative but rather a limestone based polymer with a 99.7% calcium carbonate concentration. This feature is also acknowledged through a greater acceptance in the medical market of a plethora of products made of Yamamoto’s superior Green Neoprene. YAZBECK promotes conservation and responsible hunting, as well as inclusiveness. In 2000, I produced the first freedive hunting competition in history with conservation as its primary goal- the “Picasso Open”. It was a first in many aspects; the event was open to all divers, whether male, female or even junior divers. It was the first to ever be fully sponsored by a freedive hunting brand name: Picasso America, and the first to establish the new rules for selective hunting. Unlike sports fishing where anglers pride themselves by practicing “catch and release”, which in 90% of the cases causes the fish to die later on, in Freedive Hunting, we “release before we catch”. That’s one very important fact. There is never collateral damage. And what was truly a first was that only one fish per specie was permitted, with a maximum bag limit of only 7 fish. Also, each fish had to be of a minimum size, which was more stringent than the state’s fishing rules. For the Love of the FreeDive Hunting Sport – The Passion of Designing and Creating only the very best! Thank you for reading and please remember to always dive safely and hunt responsibly.